Yashica Mat + Kodak Portra 400VC. I'm so sorry for being absent for quite a while! I still need to figure out a routine where I can combine working with blogging without having to spend day and night by the computer. I also want to apologise to all of you who have sent me emails and never got a reply - it is constantly making me feel worse and worse, and I don't even know where to start when I go through my inbox. Please bear with me. 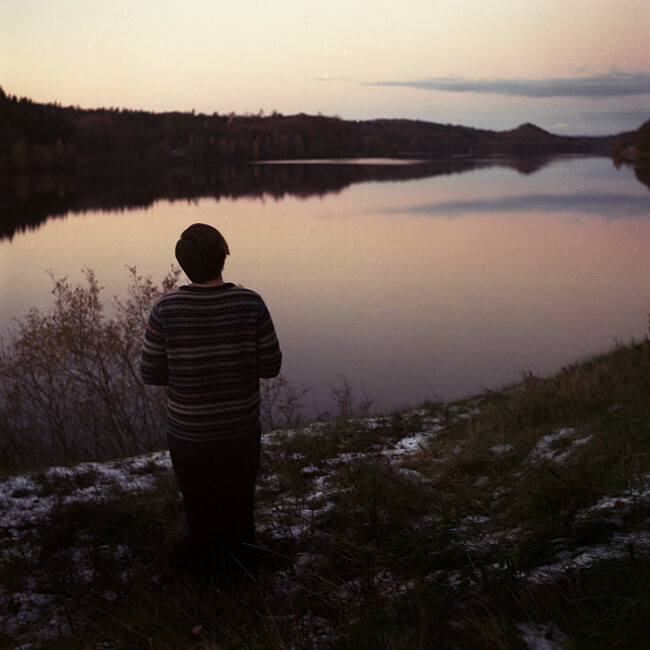 Above are some medium format frames from September-October. 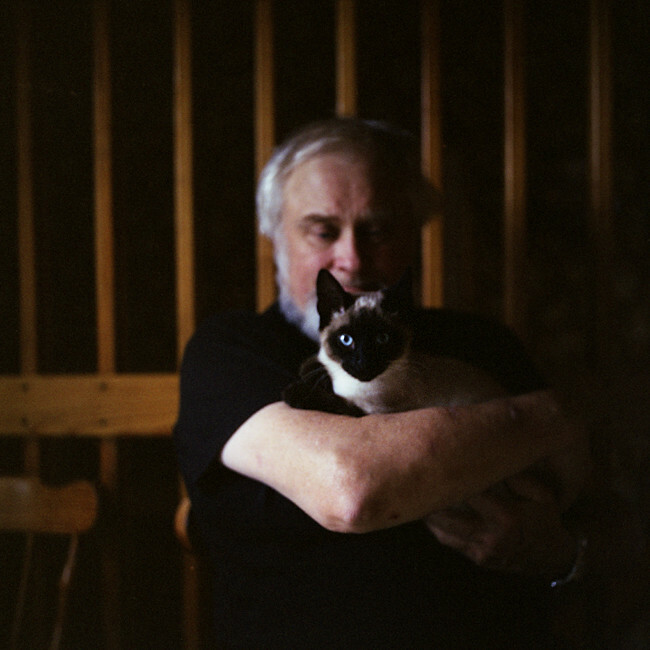 A self-portrait in our apartment, my father and a blue-eyed siamese, and Leo by a river alongside the road. Nothing but perfection as always. I would move in with you, if you'd let me. I'm glad to see a new post on your blog. I really missed your work. The self-portrait is my favourite image. I am a very huge fan of your and Leo's house. You have done a great job decorating the place! That first picture is amazing! Your apartment is beautiful - I love the house plants. blogging does take up quite a lot of time, I know that very well myself. as long as you post a little something from time to time, at least I can be patient! Everything is so pretty! I am always glad to see your photos. I do love these pictures. They film? these are so stunning-- especially the first. soo soo beautiful photos as always! A nice and warm part of your life that you share, thank you. Totally understandable and no need to apologize. I am having the same problem with mine as well. This blogging stuff is a lot harder than people think. It takes a lot of work, and a lot of time and dedication. For those of us who see there blogs as more than just a blog. I don't know what your goal is, but it's not just a hobby for me. I have goals. But it is difficult trying to balance everything out. No worries though. You are a wonderful, talented blogger, I can't speak for everyone, but I'm sure most of us aren't going anywhere. I know I'm not. Keep up the great work! Love your blog! I still love your shots and photos. They're so wonderfully framed - And taking it in film makes it more tranquil. It is so hard to keep a blog alive, especially with time-sucking jobs that kill all our energy. I love your work, I hope it still flows around here, even if it is in small doses. Häftigt. Vad bra du är. Can't wait to see your future posts. Your photos are something beyond the ordinary. Oh, I love them.